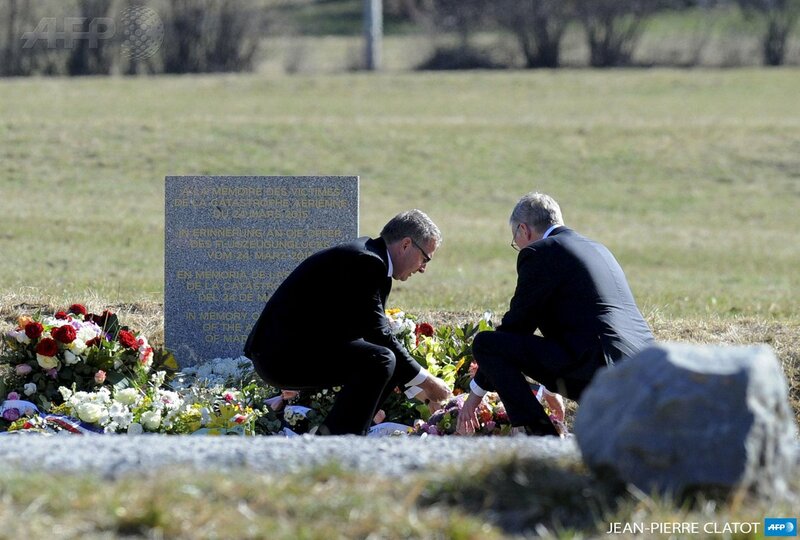 Carsten Spohr, the Chairman of the Executive Board & CEO of Deutsche Lufthansa AG and Thomas Winkelmann, the CEO of Germanwings visited the recovery workers and local residents in Seyne-les-Alpes today and thanked them for all their help and support following the loss of Germanwings flight 4U 9525. “We have the greatest respect for the dedication and the professionalism with which people are working here to investigate and process this tragedy,” Carsten Spohr said. “We appreciate the immense psychological and physical strain that these helpers are working under. We cannot thank them enough.” Mr. Spohr further extended his sincere gratitude to the investigating authorities, and to the local residents near the accident site. Lufthansa and Germanwings continue to support the families and friends of the victims of flight 4U 9525 in every possible way. Immediately after the accident the companies provided help and care for the bereaved in Barcelona, Düsseldorf and Marseille. Since 28 March a Family Assistance Center (FAC) has been established in Marseille as a central provider of such care and support. A total of 90 personnel have been assigned to the FAC until further notice, to offer the bereaved personal comfort and care and to assist and accompany them, if they wish to visit the Seyne-les-Alpes accident area. To date more than 200 relatives and friends of the victims have been supported by the three care centres.